1978 – Ph.D. Cand. of Med. Sci. Gerontological Society of the Russian Academy of Sciences, vice-president (1994–now). Italian Academy of Economics and Social Sciences (1996–now). The Gerontological Society of America (1996–now). International Association of Cerontology and Geriatrics, European Region, president (2011–now). Anti-ageing technologies; development, experimental and clinical studies of new classes of peptide bioregulators (Cytomedins, Cytamins, Cytogenes). Development of bioregulating therapy. The inventor of 6 pharmaceuticals, authorized by the Russian Ministry of Health for clinical application: Thymalin (from thymus for correction of immune system function), Cortexin (from the brain cortex for correction of cerebral functions), Epithalamin (from the pineal gland for correction of endocrine system function), Samprost (from the prostatic gland for correction of urogenital system function), Retinalamin (from the eye retina for restoration of vision functions), Thymogen (dipeptide for correction of immune functions). The inventor of 40 biologically active food supplements, which are authorized by the Russian Ministry of Health and introduced into the Register of Biologilly active Food Supplements. Over 700 scientific publications, including 26 monographs; 205 patents and inventions (90 international ones among them) in the field of biotechnology, immunology, biochemistry, pharmacology, oncology, gerontology. Khavinon Vladimir was born in 1946 in Kottbus, Germany, into a family of a military officer. Having spent five years in Minsk secondary school No 6, in 1959 he entered Minsk Suvorov Military School and finished it in 1965 with gold medal. Khavinson was a champion of Minsk in boxing in 1964, and champion in track and field athletics of Byelorussia in 1965. In 1965 he entered S.M. Kirov Medical Military Academy (St.Petersburg), which he graduated in 1971 with a diploma in treatment and prevention. From 1971 to 1977 Khavinson did military service in Trans-Baikal and Leningrad military districts. In 1977 he was appointed senior resident doctor at S.M. Kirov Medical Military Academy, in 1982 – junior research officer, in 1985 – senior research officer, in 1988 – Chief of the Research Laboratory of Bioregulators. In 1989 Khavinson established the State Biomedical Scientific and Production Complex “Cytomed” and was its General Director until 1992. In 1978 Khavinson received the Candidate's of Medical Sciences degree and in 1987 - the Doctor's degree. In 1992 Prof. Khavinson founded the Institute of Bioregulation and Gerontology. Since that time he is its Director. In 2001 the Saint Petersburg Institute was integrated into the North-Western Department of the Russian Academy of Medical Sciences. Prof. Khavinson is a Colonel of the Military Service in reserve. Now he is a veteran of the Armed Forces of the Russian Federation (since 1993). 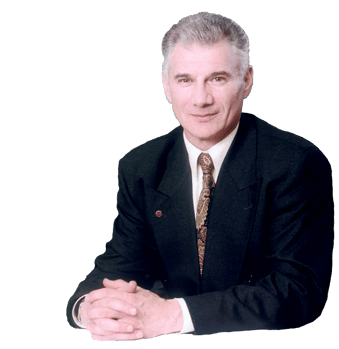 In 2000 Prof. Khavinson was elected a Member of the Russian Academy of Medical Sciences in the field of “gerontology and Geriatrics” (North-Western Department of the Russian Academy of Medical Sciences). In 2003 he became a Member of the Presidium of the North-Western Department of the Russian Academy of Medical Sciences. From 2002 to 2004 he was a professor of the Chair of gerontology and geriatrics of the Saint Petersburg Medical Academy of Postgraduate Studies of the Russian Ministry of Health. In 2007 he was appointed Main gerontologist of the Health Committee of the Government of St.Petersburg. Since October 2007 he is a Head of the Department of peptide regulation of ageing of the I.P. Pavlov Institute of Physiology of the Russian Academy of Sciences. Prof. Khavinson has over 700 research publications, including 26 monographs (2 monographs were published in Sweden and Switzerland), 205 inventions in the field of gerontology, biotechnologies, immunology (including 90 international patents in the USA, Canada, Switzerland, Australia, Japan and Europe). Under his editorship and supervision 64 Ph.D. and Dr.Sci. applicants defended a thesis. In 2000 initiatives and efforts of Prof. Khavinson made it possible to include a new specialty No. 14.01.30 “Gerontology and Geriatrics” (Medical and Biological Sciences) into the “List of Specialties” of the Highest Attestation Committee of the Ministry of Education and Science of the Russian Federation. In June 2001 under the Decree of the Highest Attestation Committee the Dissertation Council (D 601.001.01) was established. In 2006 Prof. Khavinson was appointed into the Expert Council of the Highest Attestation Committee of the Ministry of Education and Science of the Russian Federation in medical sciences (Therapeutic Section). In 1988 Prof. Khavinson was awarded honorary title “Distinguished Inventor of the Russian Federation”. In 1990 - “The USSR Council of Ministers' Prize” for the introduction and promotion of new highly efficient peptide bioregulators for use in health care and veterinary professions. In 1991 Prof. Khavinson and co-authors were awarded “K.M. Bykov Award of the USSR Academy of Sciences”. In 1994 and 1997 he was awarded the State Scientific Grants of the Russian Academy of Sciences. In 1996 Prof.Khavinson was awarded Nobel Prize Winner P.Kapitsa' Memorial medal "Author of Scientific Discovery", in 2003 - The Ukrainian Academy of Medical Sciences Prize, in 2006 - P.Ehrlich Silver Medal for outstanding achievements in preventive and social medicine, Europaische Akademie der Naturwissenschaften, Hannover, in 2007 - Award of the State Duma of the Russian Federation for the best project represented at the Economy Forum, in 2008 - Honorary title "Honoured Scientist of the Russian Federation". In 2010 - the Ukrainian Academy of Sciences Prize. In 1994 he was elected Vice-President of the Gerontological Society of the Russian Academy of Sciences. In 1996 V. Khavinson was elected a member of the Italian Academy of Economics and Social Sciences and a member of the Russian Academy of Natural Sciences. He is a member of Editorial Boards of the Journals: "Advances in Gerontology" (St.Petersburg), "Bulletin of Experimental Biology and Medicine" (Moscow), "Clinical Gerontology" (Moscow), "Cytokines and Inflammation" (St.Petersburg), "Geronto-Geriatrics" (Mexico), "Herald of Gerontological Society of the Russian Academy of Sciences"(St.Petersburg), "Medical Academy Journal" (St.Petersburg), "Neuroendocrinology Letters" (Stockholm). In 2007 Prof. Khavinson was elected Chairman of the Biological Section of the International Association of Gerontology and Geriatrics, European Region. In 2011 Prof. Khavinson was elected President of the International Association of Cerontology and Geriatrics, European Region.